The Lumen Series led lighted furniture is one of the most popular series of lounge furniture that we offer. 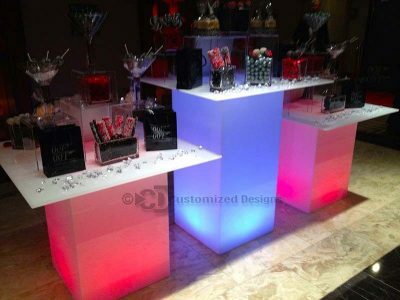 It's all acrylic design and illumination from all sides will easily set your bar, lounge or nightclubs apart from all others. 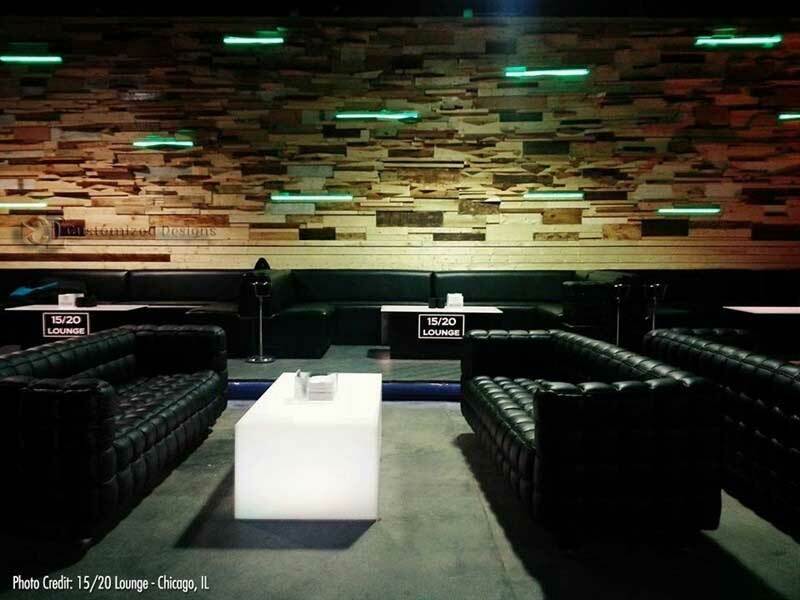 Whether you're opening up a new bar lounge or just looking to update your existing nightclub, there is really no better way to set yourself apart than with our lumen series lounge furniture. 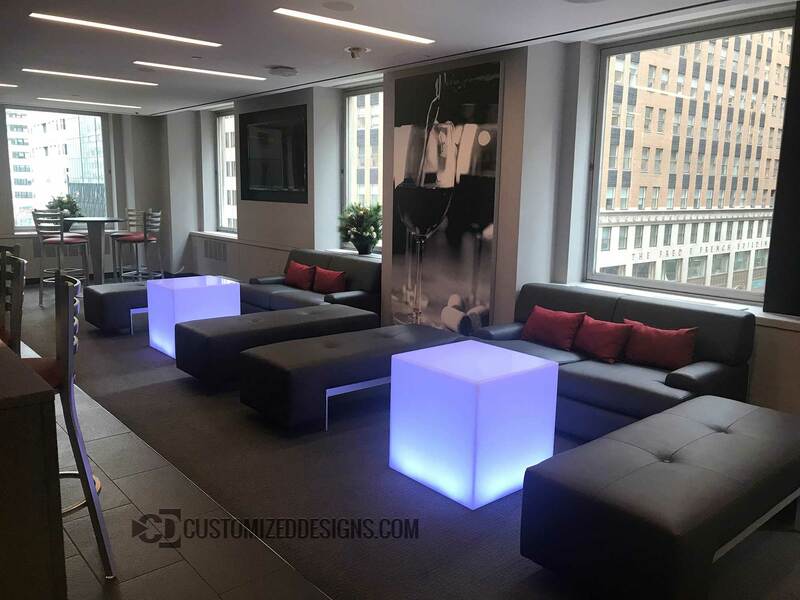 Be sure to see our gallery for dozens of examples of what our previous clients have done with our led furniture. 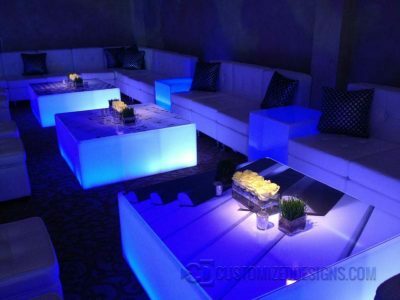 Adding table tops to lumen tables is a great way to increase the usable surface area while providing additional leg room for your customers. 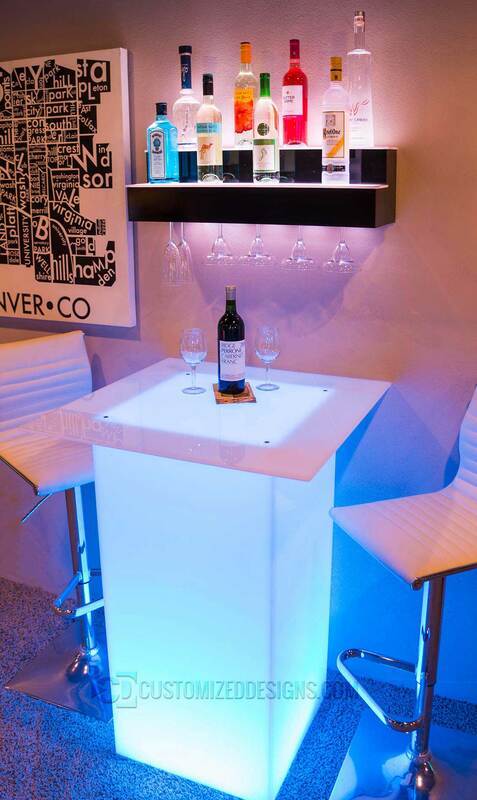 While we offer standard sized table tops, we can make them in virtually any shape or size for your application. The lumen led furniture series is a great option for event rental companies and event planners alike. These tables are sure to add an extra special touch to your events and wow your clients. 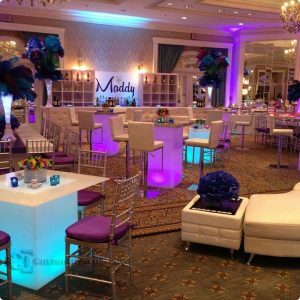 How are additional table tops attached? 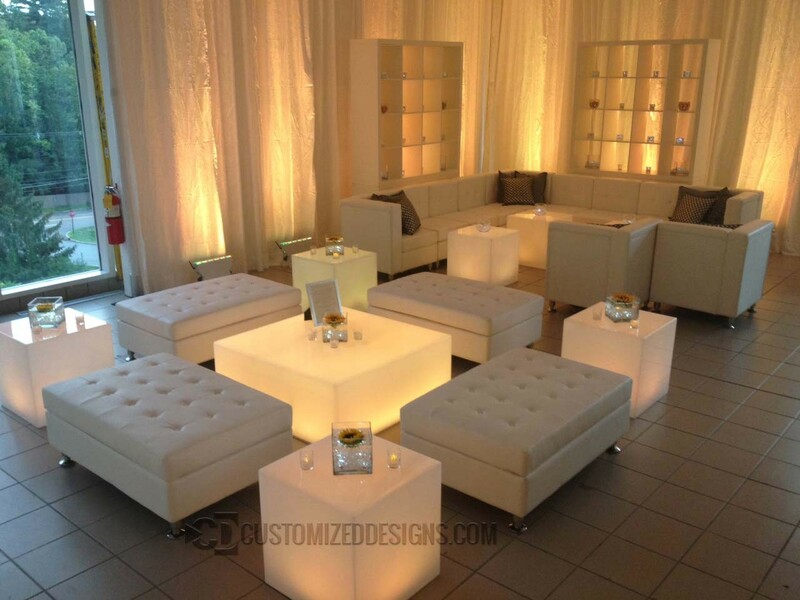 • Table tops are attached with four recessed stainless steel bolts. This allows them to be easily removed or replaced. 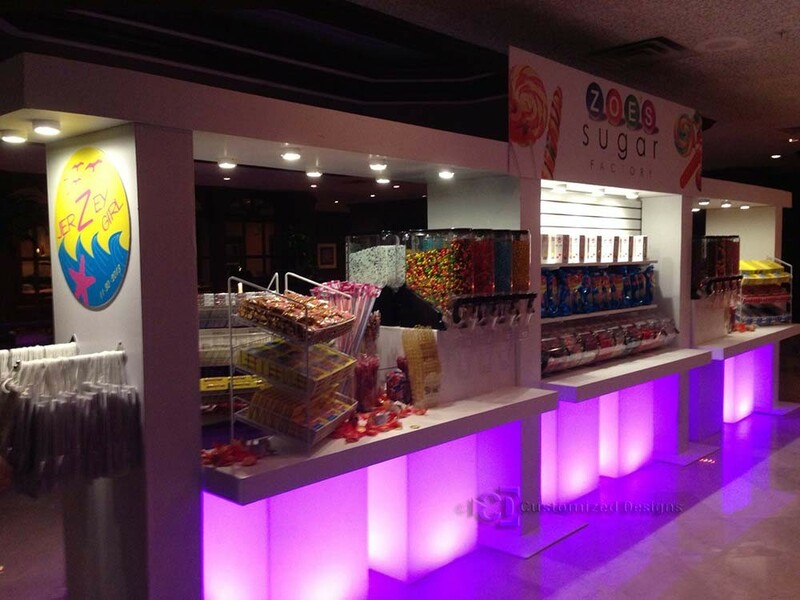 The tops are also interchangeable between tables of the same size. 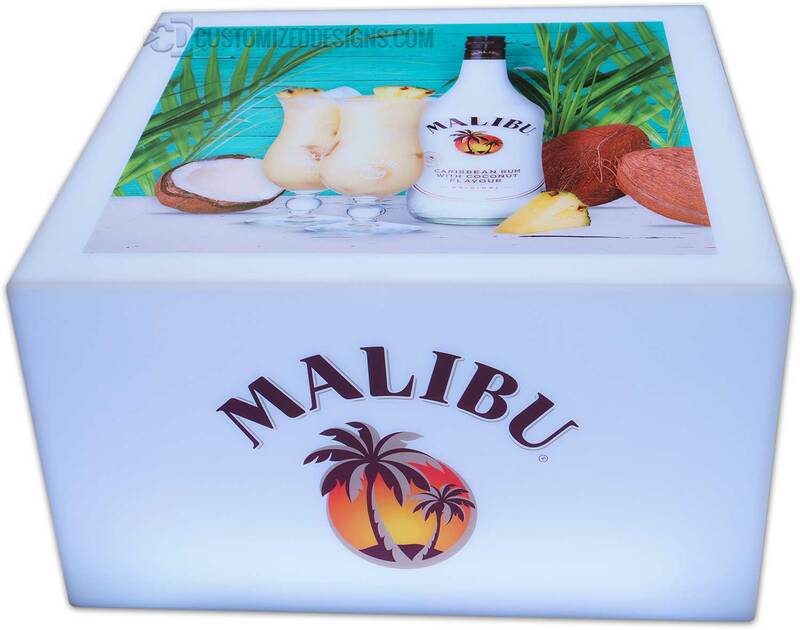 We can permanantly affix the tops without fasteners but this can significantly increase shipping costs. I see pictures of table tops with no fasteners. How's that done? • Those pictures are from our event rental clients and are only affixed temporarily for a single event. 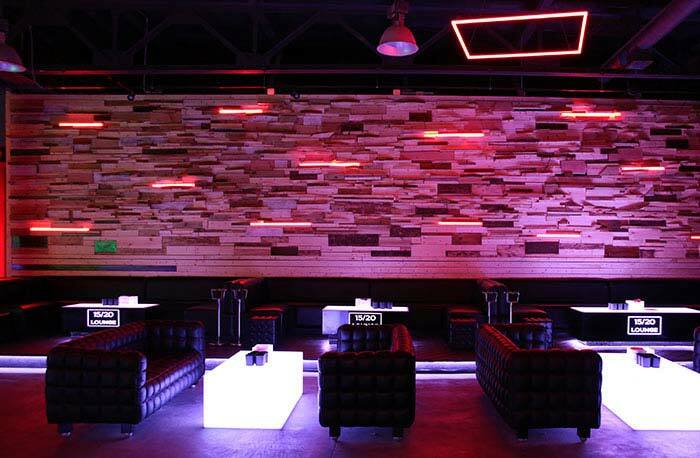 They use very strong adhesive tape which works short term but is not recommended as a permanent solution for bars or nightclubs. 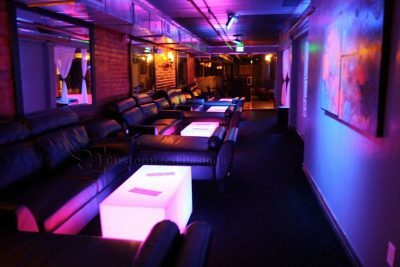 Can you stand or dance on these tables? • Will they fall apart if someone does stand on them? No, but over time this can cause problems so they should not be purchased for this purpose. • The only led table we make specifically designed to be danced on is the dance floor table. 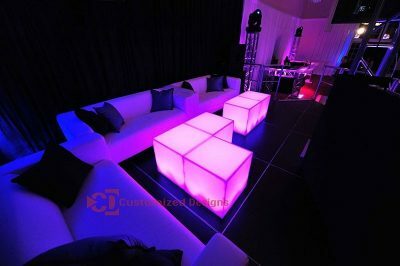 • If you feel this could be a problem, we can reinforce other tables so they can be danced on. What's the difference between your tables and the cheaper versions I've seen? • While the pictures of our tables may look similar to other "cheaper" options, they are not remotely close to the same product. 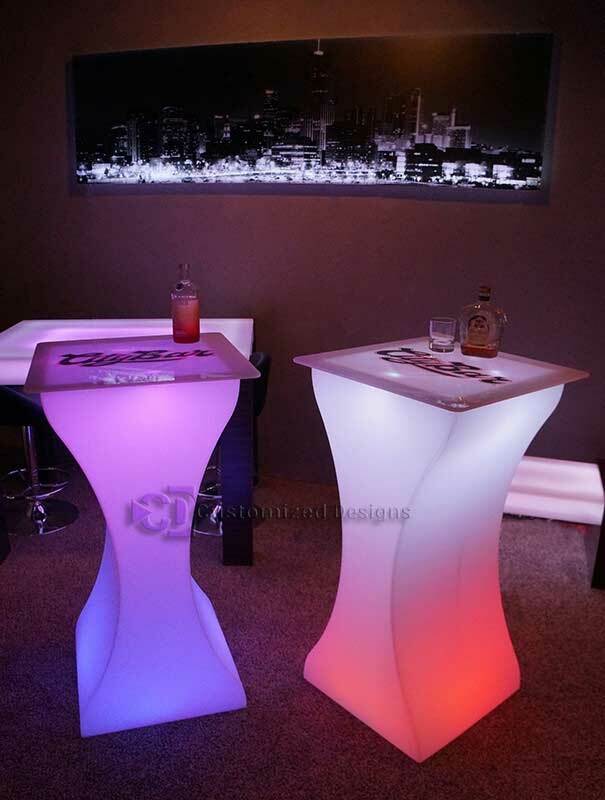 Our led tables are made with acrylic (hard plastic) while the cheap versions are made out of molded polyethylene. The same type of material trash cans and bottle caps are made with. 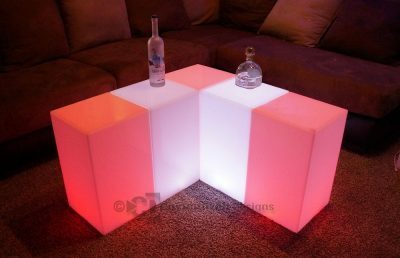 • If you're on the fence, we recommend you read our blog about cheap led furniture and why you should avoid it. 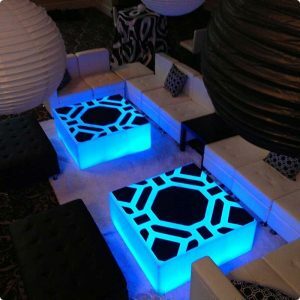 Can Lumen tables be used outside? • Temporary applications - A little bit of rain or bad weather will not cause problems with Lumen tables so, putting these tables outside for a specific event or on your bar patio temporarily is not a problem. • Permanent applications - If you intend to keep these tables outside indefinitely, then we will need to make them specifically for this use. 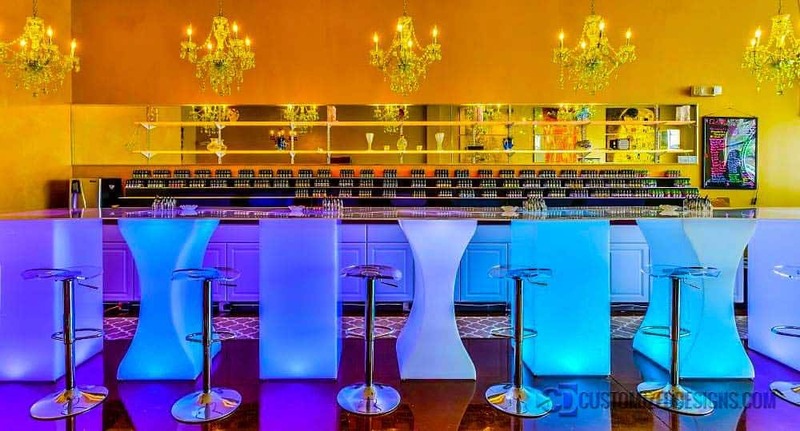 Instead of the bottoms of the tables being open, we will make a special removable panel to enclose the table and protect the lighting and electrical components. 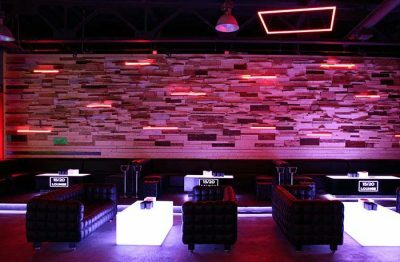 • If you have floor outlets or some other obstruction that will require an opening in the bottom of the table, we will need to know about this before we begin making them. • The bottoms of these tables have a cutout to allow space for the power supply or battery to sit inside. The power cord is 6' long with an inline adapter in the middle. (So more like 3') If you need it to be longer, we sell 3' power extension cables to get you where you need to go. 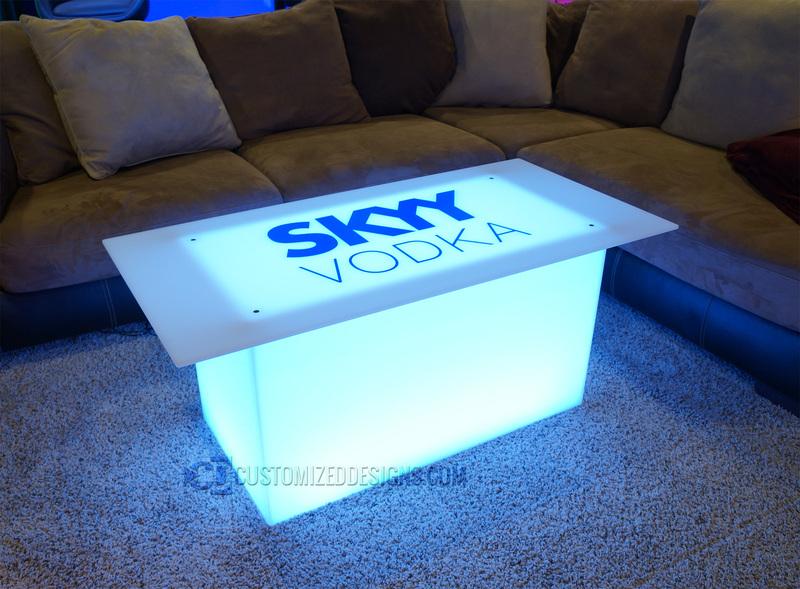 • Alternatively, you can run an extension cord to the table and put everything underneath. Can Lumen tables be run on a battery? • Yes. Batteries can sit underneath the Lumen tables out of view. To charge the battery, you have to lift up the table to retrieve the battery. This allows you to charge all your batteries in one central location. 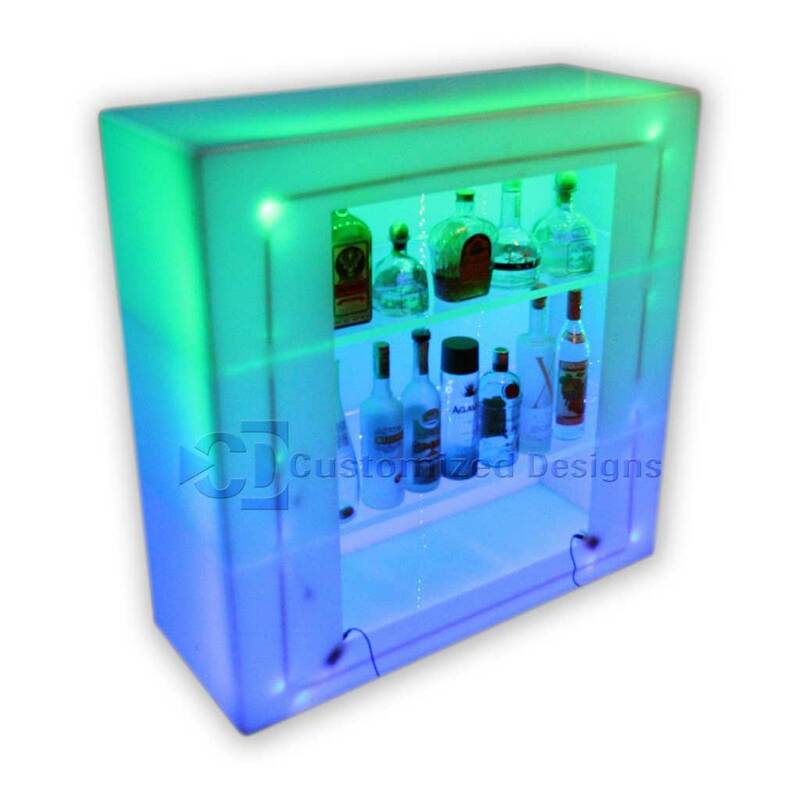 • Battery life will vary greatly depending on the size of the table and the color of LED lighting you're using. Anywhere from 8-30 hours. In commercial settings, we recommend purchasing two batteries per table. One to charge while the other is being used. 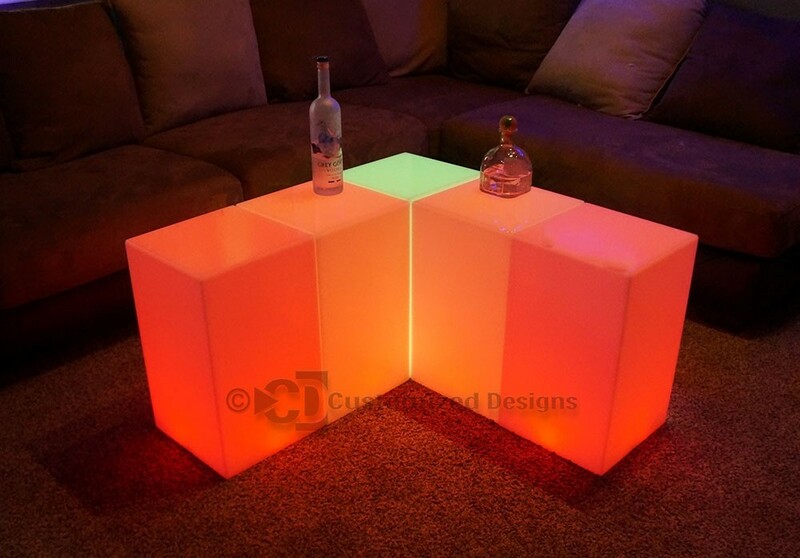 If you still have questions about the Cubix LED Furniture, please don't hesitate to contact us!